From back in 1973, up to this very minute, MegaFood has always held a strong commitment to REAL: Real Food, Real Slow, Real People, Real Relationships. We have another big focus, too; to improve lives. We achieve this by delivering nutrients, vitamins, and minerals to the body in the way nature has always intended: through food. Our process is unique, and we’re proud to be different. We call it the Slo-Food process, and it starts by sourcing real food from real farms. We partner with organic, sustainable farmers who are as passionate about their produce as we are about our products. Our oranges, for example, come from our friend Uncle Matt. The Stauner family – owner/operators of James Lake Farms are in charge of cranberries. Meanwhile, Stahlbush Island Farms has us covered in the beet department, and our newest farm partner, Kauai Organics, grows the most lovely fresh turmeric root you’ve ever seen. These beautiful crops land in our New Hampshire manufacturing facility where we grind all that goodness into a yummy pulp, integrating even more vitamins into the mix for potency. Then, we dry and tumble it into powder form before pressing it into nutrient-dense tablets that are small enough to swallow. One batch takes approximately 236 hours from start to finish–Fresh from Farm to Tablet. It’s all starting to make sense now, isn’t it? In addition to our commitment to REAL, we are also committed to Non-GMO ingredients. Our food and ingredients are tested no less than three times during the manufacturing process to ensure that our strict purity standards are met in every batch for all of our product certifications. Beyond our large range of vitamins and multivitamins, minerals, and condition-specific formulas, we are head-over-heels for our line of one-of-a-kind Daily Nutrient Booster Powders. Designed to increase your capacity with select nutrients and botanicals, these powders mix directly into your favorite smoothie, shake, or juice to boost your beverage up a notch. Ready to get Real? We invite you to visit our website at MegaFood.com, join us on Facebook, follow us on Twitter, and look for us on the shelves at Natur-Tyme. Come join us in the Journey of Real and see just how good real feels. At Natur-Tyme, we carry a wide variety of high-quality multivitamins. One such selection is Garden of Life’s mykind line. This is the story of the inception of this line. That was the shocking truth. Silverstone went to great lengths to eat a diet of organic, chemical (and cruelty) free foods. But to supplement that diet, there was not a multivitamin on the market that she could take. Even the best fermented or cultured multis all started off with chemical isolates and the tableted versions had harsh chemical binders, fillers, or coatings. What a disappointment. Silverstone wanted a multivitamin that was made from the types of foods she ate—Certified-USDA Organic, Non-GMO Project Verified, and real! Garden of Life wanted the same thing—they always have. Creating a vitamin that started off with organic foods, concentrating those foods into meaningful amounts of vitamins and minerals, was always a goal for them. And after years of research, they were close to achieving it. The process for efficiently harvesting the vitamins and minerals from their organic food sources eluded them for over a decade. However, a few years ago, they began their relationship with a scientist who holds multiple international patents for his novel approach to harvesting vitamins and minerals from organic fruit and herbs. So, they realized that fate had brought them together at just the right time, and they joined forces with Silverstone to create mykind Organics. Shortly thereafter, they had a major breakthrough with the last obstacle to creating their Certified-Organic multi—they figured out an entirely new, organic way to make a tablet without using the common binders such as magnesium stearate. The process was so novel that it’s now patent-pending, and they call it, Clean Tablet Technology™. This newly invented, entirely organic tablet system worked beautifully, and the finished tablets looked great, had a pleasant smell and taste, and an organic coating making them easy to swallow. Check out the mykind Organics line at Natur-Tyme and if you have any questions, our professional supplement & vitamin educators would be happy to assist you. October is Non-GMO Month. Natur-Tyme wants to educate you about why you should be concerned with GMOs. Yesterday, supplement educator Pamela Walker discussed Non-GMOs and I will expand upon it in my blog. I have been a health supplement educator for 17 years, involved in conventional farming for 14 years, and organic farming for the last 13 years. In that time period, I have noticed some of the changes mentioned in the above quote by Jeffery M. Smith, author, politician, and advocate against GMO foods. Labeling of GMO foods is the only way to have a choice when deciding what to bring home to cook for dinner tonight. There are a couple of websites where you can get information on labeling efforts; www.labelgmos.org and www.justlabelit.org are dedicated to organizing the efforts to have foods labeled. Until the powers that be are convinced that the fair and just way to deal with this issue is a well-informed consumer, a list of Non-GMO verified products can be found at www.nongmoproject.org/find-non-gmo. October is non-GMO month; though the month is winding down, the issue of GMOs will continue to touch our lives. 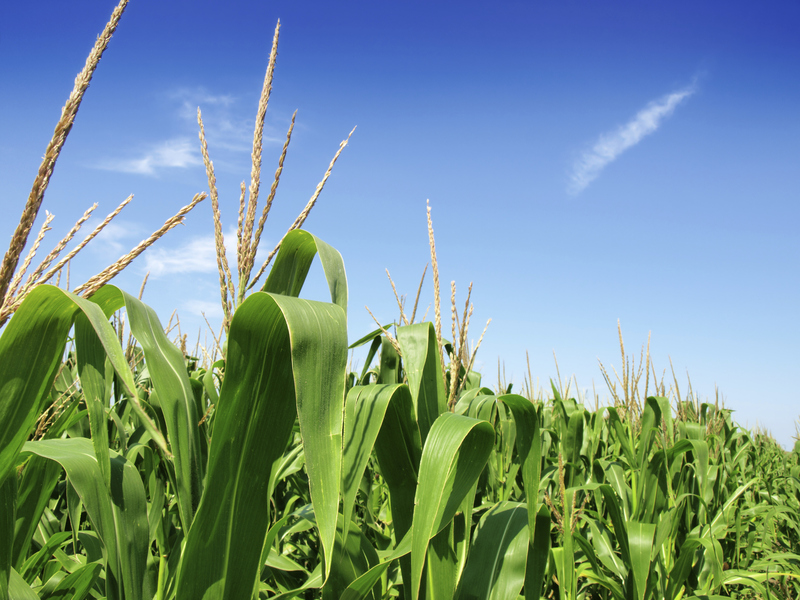 Today and tomorrow, read our blogs addressing the concerns of GMOs. Genetically Modified Organisms are not an organisms’ natural state. GMOs are plants that have been genetically engineered with DNA from bacteria, viruses, or other plants and animals. These experimental combinations of genes from different species cannot occur in nature or in traditional crossbreeding. There is a huge difference between hybridized corn and a GMO. It’s one thing when you cross two different species of corn, but when you put a fish gene into a tomato, that is pushing the boundaries of science. A growing body of evidence connects GMOs with health problems, environmental damage, and violation of farmers’ and consumers’ rights. Despite biotech industry promises, none of the GMO traits currently on the market offer increased yield, drought tolerance, enhanced nutrition, or any other consumer benefit. Use of toxic herbicides like Roundup has increased since GMOs were introduced. GMO crops are also responsible for the emergence of super weeds and super bugs, which can only be killed with ever more toxic poisons. GMOs are a direct extension of chemical agriculture, and are developed and sold by the world’s biggest chemical companies. The long-term impacts of GMOs are unknown, and once released into the environment these novel organisms cannot be recalled. Unfortunately, even though polls consistently show that a significant majority of Americans want to know if the food they’re purchasing contains GMOs, the powerful biotech lobby has succeeded in keeping this information from the public. In the absence of mandatory labeling, the Non-GMO Project was created to give consumers the informed choice they deserve. While I understand the reasoning for creating GMOs to feed our growing population, at what cost is this to human health? Tomorrow, read the GMO blog written by my fellow supplement educator, Nancy Gardiner.